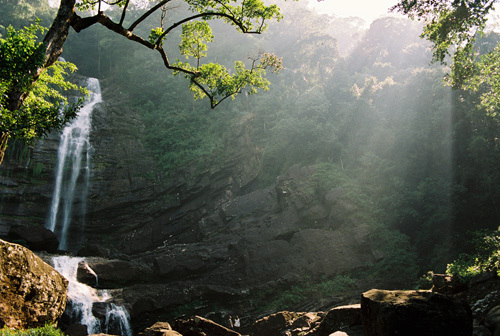 Ratnapura is the name of the provincial capital of Sabaragamuwa Province of Sri Lanka and the Ratnapura District in which the town is situated. Some say the modern name is derived from the Portuguese name Rapadura for jaggery, the palm candy produced traditionally in this region, but the more common explanation in Sri Lanka is that it comes from the Sinhala "ratna" meaning gems and "pura" meaning city. The people of the town depends on the gem trade. Gem pits are a common site in the surrounding area. Most of the large-scale gem businessmen of Sri Lanka operate from Ratnapura. 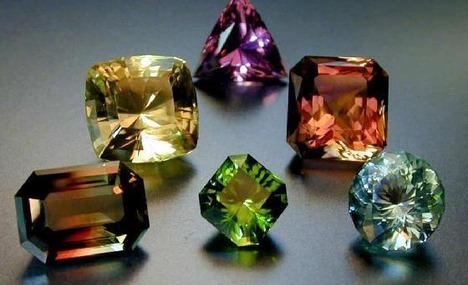 There are considerable numbers of foreign gem traders in town too. Among the foreign traders, Thai (Thailand) traders are in the majority. Every day, large number of traders from suburbs and other towns gather in the town centre to sell or buy gemstones. Large-scale merchants collect gemstones from locals and sell them in the international market. Some traders go out of the city to buy gems. This includes neighboring towns like Kalawana, Bogawantalawa, and Ela-era. 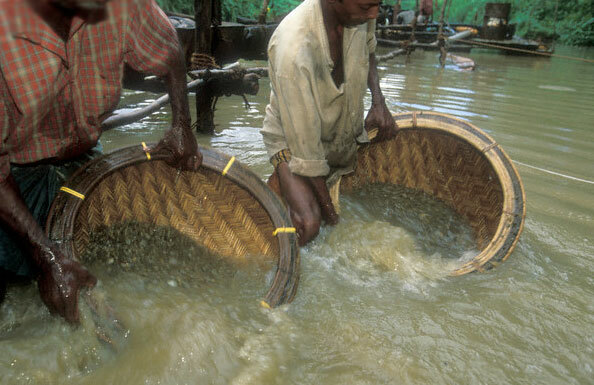 After the discovery of world-class alluvial sapphire deposits in the valley of Ilakaka in Madagascar, many Ratnapura merchants travel out of the country to Madagascar to buy gems.